Steve Conover: Welcome to the Friends of Israel Today, I'm Steve Conover and with me is our host and teacher, Chris Katulka. If you believe that the Jewish people have a right to exist in the land of Israel, their ancestral homeland, and that they have a right to protect themselves as a nation both Biblically and politically, then did you know that makes you a Zionist? Sadly the title Zionist is often met with opposition in American, Canadian, and European universities, but what if I told you the same opposition is also found in some Israeli universities? Chris Katulka: That's right, Steve. Making sure that the values of a Jewish democratic state are promoted and shared on Israeli campuses is extremely important so that Israeli citizens, not just American and not just Canadian or European, Israeli citizens realize the importance of a Jewish state in the world and that's why today we have Douglas Altabef, chairman of the board at Im Tirtzu, an Israeli nonprofit promoting Zionist values to the Israeli people. Douglas will be joining us from Israel today, and also I just want to note Douglas was in Israel during our interview, so our overseas connection wasn't the best, but we really believe this interview is worth hearing and we really believe it will be a blessing to you. Steve Conover: In the news, earlier this month, the world watched as 12 boys and their soccer coach were trapped for nearly three weeks in a cave in Thailand. What has not been widely reported is that the technology used to allow the boys to communicate with their loved ones while underground was donated by an Israeli tech company. Chris Katulka: And I really think that this story reveals the heart of the Israeli people, think about it, only days after hearing about the incident in Thailand the Israeli company went to action donated their advanced technologies so that these boys can stay in contact with officials and stay in contact with love ones from miles underground. Even though Israel is a small country in the Middle East it's important to know they have a huge heart to serve the people of the world. 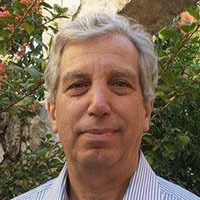 Joining me today on the program is Douglas Altabef, chairman of the board for Im Tirtzu, an Israeli nonprofit that has earned a reputation for sharing and encouraging Zionist values to Israeli society, whether it's on campuses; they have 15 branches throughout Israel, whether it's in the media or even in the Knesset, Im Tirtzu is recognized and respected for it's dedication and work on behalf of Zionism and the Jewish democratic values in Israel. Douglas, thank you so much for joining me today on the program. Douglas Altabef: Thank you, Chris, and that was a great summary of who we are, you were very accurate. Chris Katulka: Douglas, you and I met not long ago at New York City at a Middle Eastern forum where I first heard about Im Tirtzu and you and I were chatting, and I thought what you shared would be so good for our audience to hear, and as we get started I want to read for you a section of an editorial that's coming out in our up-and-coming issue of Israel My Glory, our Friends of Israel magazine, and this is something I wrote. Universities have become a flashpoint of anti-Israel and antisemitic activity. Students openly label Israel a terrorist state, encouraging others to engage in intifada and violence. Professors compare Israel to Nazi Germany, pedaling the Boycott Divestment and Sanctions, BDS Movement, to their students while university officials turn a blind eye to the progressive left's bias and politicization that fill their halls of academia, all under the guise of academic freedom. When you read about the current status of higher education, I am sure American universities, like Northwestern, or any number of campuses from the University of California, may have come to mind, but what if I told you the universities I'm talking about aren't in America? They're in Israel, that's right the same anti-Israel propaganda infecting American, Canadian, and European universities can also be found corrupting Israeli campuses. Douglas, can you respond to that? Douglas Altabef: Yes, I think that with one big asterisk you're really quite on the money. The idea of faculty often being anti-Israel Israeli faculty is an absurd but really a reality. I had the pleasure of meeting an American congressman, from Texas I believe he was, about six months ago and I was telling him about the state of things in our university and he said, "Now wait a minute, let me get this clear, you're saying that there are Israeli professors that support boycotts of Israeli academia?" And I said, "Yes." And he just hung his head and he didn't know whether to laugh or cry. Chris Katulka: When you think about it, I think for most Americans and Canadians we think, "Oh, all Israelis love their country, they support their country." So when you do hear this, it's kind of a shock to hear that coming out of Israeli academia is an anti-Israel, anti-Zionist agenda. Douglas Altabef: The hatred towards Israel, unfortunately, among students is really coming mostly from a radicalized Arab sector. There are many, many Arab students in Israeli universities. We are the antithesis of this claim of being an apartheid state. There are lots of Arabs doing this in our higher education and many of them are law abiding and many of them are unfortunately are not. The Israeli students, or I would say the Jewish students, because many of them, perhaps majority of them, have already been through army service, they are not anti-Israel. If anything, they are bulwark against the radical Arab student body and the radical faculty. So, there it's a happy distinguishing between the United States student body, which is increasingly skewing left. The Israeli student body, really by and large is significantly to the right of their own faculty. Chris Katulka: And again, one of the many reasons, Douglas, to be a Zionist is the idea that when you go to an Israeli campus you're not just going and finding Jewish students there, you are finding Israeli Arab students, Israeli Muslim students, Israeli Christian students, that's the idea of a Jewish democratic state. We'll talk about that more in a moment, but I want to share with you something that I experienced not too long ago. I was taking a tour through Independence Hall in Philadelphia, where the Declaration of Independence was signed, and I was asking the docent there, "Do you feel that the students that come through here for tours are understanding in learning basic civics today in America?" And she replied to me, which just shocked me, a majority of students, she said, have no clue about American history, basic American history, our civics, they're not learning all of these important aspects of our country, and so as a result the future of liberty and justice is at stake. Do you feel as though the same issues are happening in Israel? Do you think the kids are learning and understanding what it means to be a Zionist, what it means to have those Jewish democratic values? Douglas Altabef: I think that there's an active debate here about how much more content can be provided. I think the baseline is okay, not great. There is a debate about how much bible is being taught, say in secular schools it used to be very prevalent and maybe it's a little bit less so now. One of the things that we at Im Tirtzu have done on our campuses, we're really extending it to communities at large, not just university communities, is to bring Zionism to the students who we fear that whatever slant they've gotten from their professors has been anti-Zionist slant. So, yes they have gotten an education, it may be the wrong kind of education. We have a program called the Seminars for Zionist Thought, which the Jerusalem Post called the largest academic extracurricular activity in Israel, which is really designed to bring A-list cultural media academic speakers to talk about subjects having to do with Zionist history, Zionist values in a very fair and balanced way as our friends at Fox would say, and believe me the reaction from students has been very, very thirsty. Very desirous of getting this information, which maybe goes to your question about how much are they getting in the normal course, we should be doing a better job. We, Israeli society. Chris Katulka: For our listeners that are just tuning in, we're speaking with Douglas Altabef, who's the chairman of the board of Im Tirtzu, an Israeli nonprofit that, really all I can say is this, they are sharing and encouraging Zionist values. You would think somewhere in Europe or in America, no, they're sharing Zionist values; what it means to appreciate about being an Israeli, what it means to have a state of Israel within the world, to Israelis, a very important thing as we're talking here. I would say most Americans, especially Evangelical Christians, value Israel, they support Israel, but if you say something like Zionist or Zionism they don't fully understand what that means. Can you explain what Zionism is, share the value of Zionism and maybe even convince some of our listeners that they're Christian Zionists. Douglas Altabef: Right, Zionism is nothing more or less than the movement for natural self-determination for the Jewish people, It is the desire for us to be able to express our own national destiny as a sovereign people in our indigenous homeland. Zionism's greatest success, of course, was the creation of the state of Israel in 1948 after more than 50 years of active preparation for that event, and to be a Zionist, whether you're a Jewish Zionist or Christian Zionist, is to recognize and to support the ongoing safety, welfare, and success of Israel as a Jewish and democratic state. Of Israel as the homeland of Jewish people where their national self-determination is most fully realized by being sovereign people in the land of our ancestors where they were sovereign thousands of years ago, and the one place on earth where Jewish people really can affect the biblical prophecy of Isaiah of being allayed unto the nations. You know what you said earlier, Chris, about the fact that our universities have students from all stripes. We at Im Tirtzu every year honor nine Jewish minorities, whether they are Christians or Druze or Muslims or Bedouins, who embrace being part of Israeli society, because we feel very strongly that part of the beauty of Zionism is that when we are allowed to be sovereign in our own land it's most conducive for us to be gracious to the other people who live among us. To be not just tolerant, not just compassionate, but to be partners with them in building our society together. We look very much upon the Christian-Arab community, for example. They like to call themselves the Aramean community. As partners in building Israel as we do with Druze community and we very strongly believe that the greatest flowering and expression of Zionism grows out of being sovereign in our land and it leads us to our most universal aspirations. Chris Katulka: That was beautiful and I think that it explains perfectly what Zionism is, I always say to anybody who is a Christian and they love Israel, they love the Jewish people, they've never heard that phrase Zionism before, they don't understand it. I simply say, "If you believe the Jewish people have a right to exist in their ancestral homeland and to self-determination then that makes you a Christian-Zionist." And most of the time they look back and they go, "That's exactly what I am, that's exactly what I am." And you explained it perfectly, Doug. I want to ask something else. Im Tirtzu, it was founded to educate and to reinvigorate Israelis about the value of Zionism, what it means to be a Zionist. Really, you're the leading voice for Zionism on Israeli campuses in the Knesset as I read earlier, can you share about some of that outreaches you have going on for our listeners? Douglas Altabef: Right, first of all let me tell you about our name. Im Tirtzu, which is Hebrew meaning "if you will it", comes from Theodor Herzl, who really is the founding father of Israel, he is the father of Zionism, he is the one who conceived the idea ... well many had conceived the idea of a return to a Jewish state, but he first acted on it, and he had a famous quote that translates as "if you will it (Im Tirtzu), it is no dream", meaning the prospect of a Jewish state. When Herzl first proposed this in the 1890's he was thought to be a lunatic, he was delusional, he was mad, he was fanciful, but what he was was visionary. We take very seriously, what said a minute ago, that Zionist values allow us to be the best the Jewish people can be, by being sovereign in our own land. What Im Tirtzu, which was founded about 11 years ago, has grown to be is really a very faithful mirror of the values of what I would call middle Israel. The real people of Israel, the citizens of our country who hold very intuitively strong Zionist convictions. We started on campuses in many cases because we saw the anti-Zionism, the post-Zionism that you talked about earlier and we decided to be an antidote to that, but it's grown significantly from the campus where we now, as you mentioned, have 15 branches, we have on any given years, about 6,000 volunteer activists work with us in various forms, and because we are such a strong apolitical bearer of Zionist values, we have great credibility in our nation's Knesset, in the halls of power. Politicians know that we are speaking on behalf of the Israeli people, and I'll give you a very small example. We inspired a law that was passed just two days ago, and the law's very simple, says that if a university is giving credits to any students doing social volunteer activities; someone works in a soup kitchen, or in a kennel, or in a daycare center, to any students who are doing reserve duty in the army. As you know, as your listeners know, Israel has a citizens army, mandatory conscription and even after the two years and eight months that young men serve, the two years that young women serve, there's years and years of reserve duty that people are called up for a couple of weeks a year or a few days here and there, and so this idea now it is mandatory that universities give reserve as credit. So that's just a small idea of how we can implement Zionism in our country. We're very, very grateful for the support of the Christian-Zionist community, it is a tremendous community. Their friendship is greatly value, and your listeners need to know that. Chris Katulka: I want to encourage our listeners to go to imti.org.il/en that's Im Tirtzu dot org, that you can find right online. I'd actually just encourage you to Google Im Tirtzu, which is I M T I R T Z U, and right there you'll be able to find a link that will connect you to the work that Douglas' organization, Im Tirtzu is doing to really bring change and to bring Zionist values to their very own people who are Zionists themselves, the Israeli people. Douglas, thank you so much for being with us today, we value you and hope to talk to you again soon. Douglas Altabef: I hope so as well, thank you again. Steve Conover: Israel, on the verge of becoming a state, a teenage Holocaust survivor arrives on her shores alone. His name is Zvi Kalisher, little did he know his search for a new life in the Holy Land would lead him to the Messiah. Zvi, enthusiastic to share his faith, engaged others in spiritual conversations, many of which can be found in our magazine, Israel My Glory, while Zvi is now in the presence of his savior, his collective writings from well over 50 years of ministry continue to encourage believers worldwide. Now, Apples of Gold, a dramatic reading from the life of Zvi. Mike Kellogg: A few years ago I learned a well known rabbi was going to speak in one of Jerusalem's big synagogues on the topic of life after death. Naturally I was curious about his thoughts on the subject and I decided to attend the meeting. During the question and answer session, the rabbi and I engaged in a heated discussion because I told him in front of several hundred people that a person can have eternal life only through faith in the Lord Jesus Christ. Finally he said to me, "I never want to see you at one of my meetings again." but I never give up quickly and I replied, "When you come to speak here again, you will see my shadow." Recently the rabbi returned to speak in the area and I kept my word. What's more, I sat on the front bench. He spoke for more than an hour before he realized I was there, but as soon as he spotted me he became tongue-tied. The people in the audience were surprised at his change in demeanor. He then ended his speech abruptly without a proper conclusion. Many requested question and answer session and the rabbi said, "I am in a hurry, but I will answer one or two brief questions." I was the first to stand up and I asked him, "How can you be so sure you will have life after death when you have ignored God's commands?" The rabbi looked intently at me and began to accuse me of idolatry. I held up my bible for everyone to see and said, "Here is the Holy Bible and I worship the Lord according to it. Is this, as the rabbi says, idolatry?" I then asked the rabbi to show the audience the book he was using. Naturally it was a commentary, wasn't the bible. I then asked the people, "Which book is more kosher and who is practicing idolatry?" I thank the Lord I was not afraid even though I was standing in a lion's den. I told them, "I believe according to the law, we are the chosen people of God. It is our duty to go to the people and preach the gospel about the Lord. I have no other books with me, no commentary books written by men. This great rabbi has come with fictitious stories. I encourage you all to read the bible. Read all the commands of God, then you will know how to worship Him and how to obtain true, eternal life. Then someone asked, "Who is your God?" I replied, "He's not my God, he is our God. He is one God for all the world and He is the Savior Yeshua, you can read about him in the Bible." A few people asked to examine my Bible to see if it was the complete Hebrew Scriptures, then I asked, "What do you think? Have I come to you with fictitious stories or with facts about the Lord, our God?" By then the rabbi had had enough of the discussion and he left. I however stayed and had some very good conversations about the Lord. I pray what they heard that night, not from a rabbi but from the word of God, will penetrate their minds and hearts and lead them to a true knowledge of the living Savior. Steve Conover: Thank you for joining us today. We'd like to thank Douglas Altabef for being with us. If you would like to learn more about Im Tirtzu visit our website at foiradio.org because of people like you, the Friends of Israel Gospel Ministry has been sharing the love of the Messiah and supporting Israel and the Jewish people since 1938. If you feel led to support our work, or you simply want to reach out to us, again visit foiradio.org F O I radio dot O R G. You can also call our listener line at 888-343-6940 again that's 888-343-6940 you can write to us at FOI Radio P.O. box 914 Bellmawr, New Jersey 08099, quickly again that's FOI Radio P.O. box 914 Bellmawr, New Jersey 08099 and let us know where you're listening when you call or write. Our host and teacher is Chris Katulka, today's program was produced by Tom Gallione, co-written by Sarah Fern, Mike Kellogg wrote Apples of Gold, and our theme music was composed and performed by Jeremy Strong. I'm Steve Conover, executive producer. The Friends of Israel Today is a production of the Friends of Israel Gospel Ministry, we are a worldwide Christian ministry communicating biblical truth about Israel and the Messiah while fostering solidarity with the Jewish people. A well-known rabbi was going to be in town at a local synagogue. He was speaking on life after death. Zvi decided to go to the lecture and during the question and answer time Zvi discussed where the rabbi got his information about life after death. In front of several hundred people, Zvi explained that a person can have eternal life only through faith in the Lord Jesus Christ. Of course this angered the rabbi and he told Zvi to never come to his lecture again. 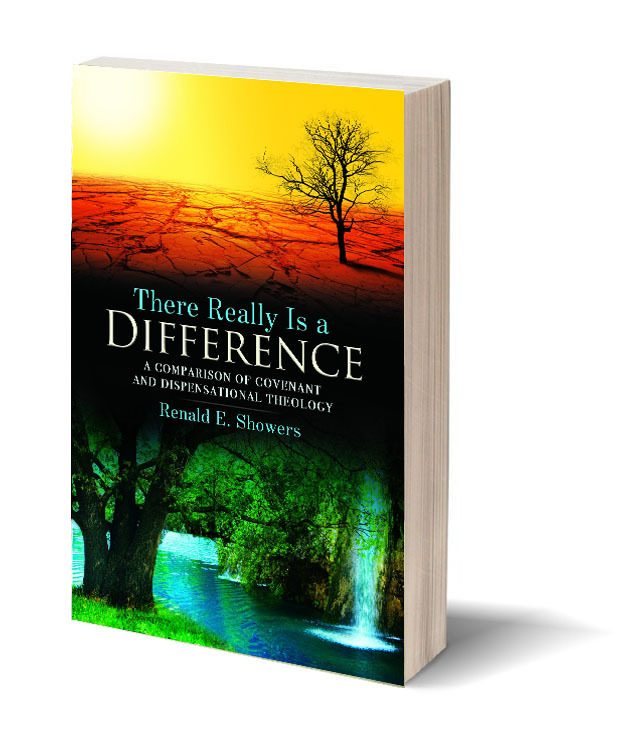 Listen to how the Lord worked in this difficult circumstance.